Evans syndrome is a very rare autoimmune disorder which is marked by abnormally low levels of platelets, red blood cells, and/or white blood cells in the body. The alarmingly low levels of these blood cells are a result of the production of antibodies by the immune system of the affected individual's body. These antibodies mistakenly destroy the red blood cells, white blood cells and platelets. Autoimmune hemolytic anemia (AIHA) which refers to premature destruction of red blood cells. In addition, they may also experience another condition called Neutropenia, which refers to low levels of certain white blood cells known as neutrophils. Evans syndrome is generally defined as the association of AIHA together with ITP; with Neutropenia not occurring very often. In the affected individuals, the antibodies produced by the immune system may destroy the body's own red blood cells and platelets either simultaneously (at the same time) or sequentially (with one condition developing before the other). 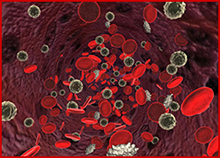 The common symptoms of low levels of circulating red blood cells (anaemia) include fatigue, pale skin color, light-headedness, rapid heartbeat, shortness of breath, dark-colored urine, and yellowing of skin (jaundice); while the symptoms of ITP or low levels of platelets commonly include appearance of small reddish/purple spots on the skin, larger purplish discoloration on the skin, purpura (a purple rash), and susceptibility to bruising even after minor injuries. Timely treatment of Evans syndrome is very important because the condition can eventually lead to life-threatening complications, including sepsis, incidents of severe bleeding, and heart failure or other cardiovascular problems. For preparing these capsules, standardized extract of the ‘Giloy’ herb (Tinospora cordifolia) are used. The herb is widely known in Ayurveda for its anti-inflammatory, antioxidant, anti-cancer, antipyretic, and immune-modulator properties. Giloy capsules can benefit the patients of Evans syndrome because the capsules have the ability to treat chronic fever, help the body fight infections, treat several skin disorders, manage gout and cardiac debility, treat anaemia, and manage jaundice, leprosy and different kinds of cancers. The natural herbal extract of the ‘Ashwagandha’ herb (Withania somniferum) is used for preparing these capsules. The potent herb has immense medicinal value and is widely known for its anti-inflammatory properties. The use of Ashwagandha capsules is beneficial in improving brain function, supporting nerve functions, managing inflammation, improving heart health, reducing metabolic imbalances, rejuvenating the body, and balancing the body’s Vata and Pitta doshas. Gandhak Rasayan is a classical Ayurvedic formulation which is used for the treatment of blood vitiation disorders such as bleeding disorders, abscess, vascular disorders, skin disorders. This tablet is also used for improving immunity, digestion and skin complexion. Due to these properties, Gandhak Rasayan acts as an effective remedy for Evans syndrome. 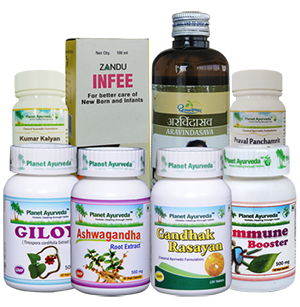 These tablets are excellent herbal-mineral products prepared from some very useful natural ingredients which include: Swaran Bhasma (Gold calcined), Mukta Bhasma (Pearl calcined), Lauh Bhasma (Iron calcined), Shuddh Hingul (Cinnabar - HgS purified), Kharpara Bhasma (Zinc Carbonate calcined), Maricha (Piper Nigrum), Trikatu (Pepper, long pepper and dried ginger), Purified Mercury, and Purified Sulphur. The use of these tablets can support a healthy immune system, maintain healthy body temperature, improve memory, support healthy functioning of the respiratory system, and balance Vata and Kapha doshas of the body. Dosage: 1 tablet, two times daily. Brahmi Chyawanprash is an amazing, jam-like herbal product prepared from a combination of herbs like Brahmi (Bacopa monieri), Amla (Emblica officianalis), and several other herbs. These herbs are known for the ability to improve overall health. The use of Brahmi Chyawanprash on a regular basis can support a healthy brain, enhance the nervous system, promote mental health, improve memory, maintain the coordination of bodily movements, and rejuvenate the body. Dosage: 1 tablespoonful, two times a day. 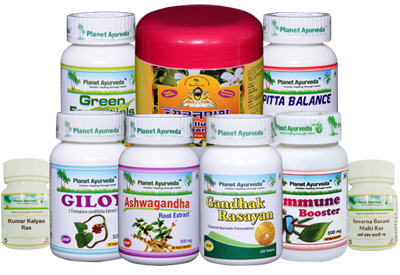 Planet Ayurveda's Immune Booster Capsules contain the standardized extracts of the herbs that regulate the immunity in a natural way. Since evans syndrome is an auto-immune disorder, these capsules are very effective in this condition as they help to boost and maintain the normal functioning of immune system effectively and flushes out toxins from the body. Kumar Kalyan Ras is a classical Ayurvedic medicine which is used in the treatment of impaired immunity. It balances Pitta dosha in the body. This tablet is also used in the treatment of complaints such as fever, asthma, jaundice etc. It develops non-specific immunity therefore used in the treatment of Evans syndrome. Dosage: 1 tablet twice daily. These capsules are prepared from a combination of herbs including Amalaki (Emblica officinalis), Spirulina (Spirulina platensis), Green tea (Camellia sinensis), grape seed (Vitis vinifera), and wheat grass (Triticulum aestivum). The regular use of these capsules can boost the immune system, nourish the brain cells, enhance the functioning of the brain, help the body fight against free radicals, and manage skin disorders and other conditions. Since ITP affects many children but there are herbs and herbo mineral preparations which can help the infants and small children very much. Slowly reduce their dosage of steroids as soon as the effect of herbs / herbomineral compound is visible. 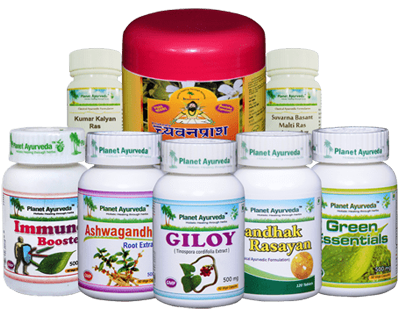 Planet Ayurveda's herbal products for managing Evans syndrome are completely safe to use because they do not contain any chemicals, artificial colors, additives, fillers, binders, yeast, starch or preservatives.